The final issue of Speech & Language Therapy in Practice has been signed off for printing, so will be mailed out to subscribers the week beginning 5 December. Meantime, you can access a new, free, online-only article written to accompany the Winter 11 issue. ‘New Dimensions‘ is a report by Speech & Language Therapy in Practice editor Avril Nicoll from the Child Language Seminar (CLS 2011). 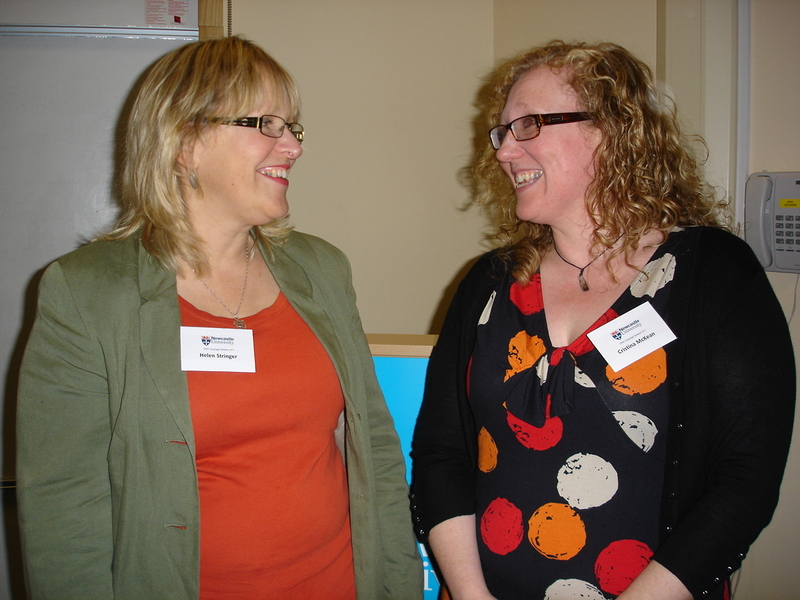 This was held in June 2011 in Newcastle, and the organisers made a conscious decision to give it a more clinical focus than usual and encourage more participation by therapists as well as researchers and academics. Speakers included James Law, Liz Pena, Sheena Reilly, Sue Roulstone, Maggie Snowling and Helen Stringer. The photograph shows Helen Stringer and Christina McKean who arranged the seminar along with James Law. This entry was posted in Conferences, CPD, Speech and language development, Speech and Language Therapy and tagged Child Language Seminar, CLS, Helen Stringer, James Law, Liz Pena, Maggie Snowling, New dimensions, researchers, Sheena Reilly, Speech & Language Therapy in Practice, Sue Roulstone, therapists. Bookmark the permalink.